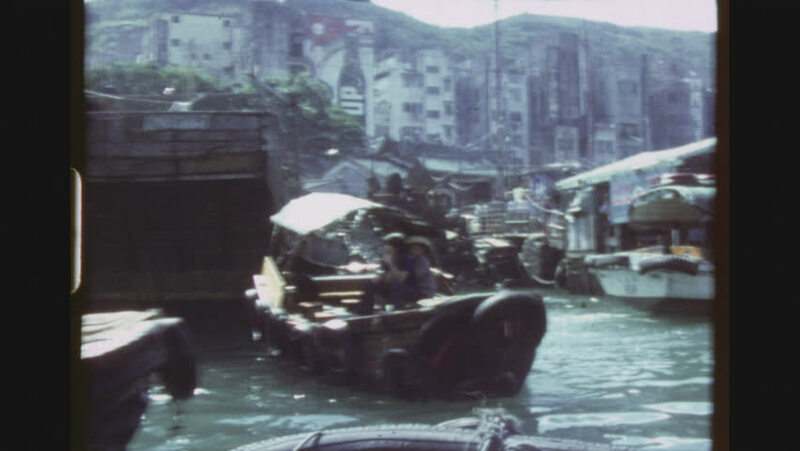 AP LEI CHAU, HONGKONG, MAY 1978. Four Shot Sequence Out Of A Cruising Boat In The Aberdeen Fishing Village. Everyday Life With A Group Of Native Boys On A Sampan Rowing By. hd00:12Forklift Truck in Warehouse. Zoom In.